The property finished construction in 2018 and offers a very comfortable interior along with beautiful outside spaces. A large garden circles the villa and an exclusive swimming pool awaits the use of guests. Guests can also enjoy a porch complete with table and chairs – a perfect space for outdoor dining. The property’s great location makes for easy visiting to the best of art and culture offered by Tuscany and Umbria. Available to guests: large outside space entirely fenced, private swimming pool (10 x 6 m – minimum depth 1.2 m – maximum depth 2 m), porch area near the pool furnished with table and chairs for outdoor dining. The villa has Wi-Fi internet connection. Parking on the property. "This villa is new, very well equipped and located in a terrific (and somehow remote) setting. Our family of five enjoyed everything in this house and the pool! We felt very welcomed during the check-in and the check-out was fast and easy! We used the villa for one-day visits to Sienna and Firenze while returning home to benefit from some quiet and "alone" time, away from the August crowds... We really wished we could have stayed much longer and had more time to visit the surrounding villages. 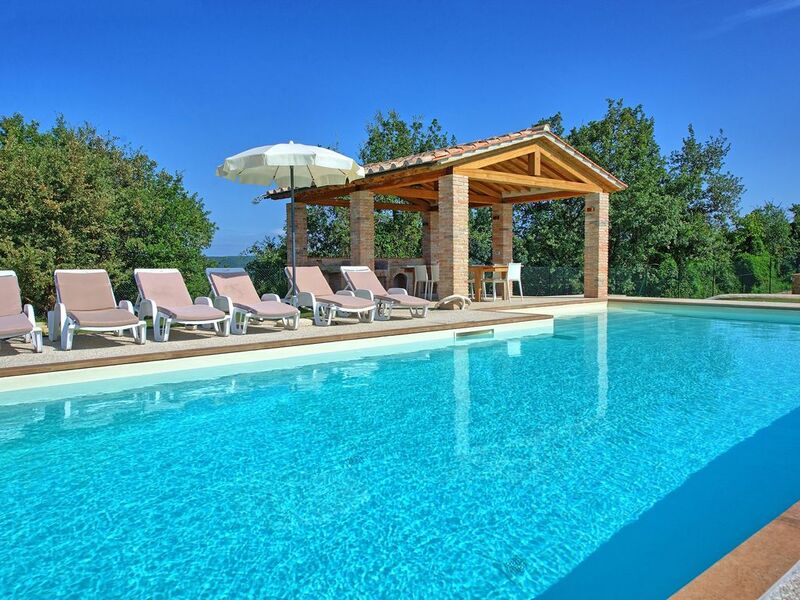 We would recommend this villa without hesitation!"